I was craving adobo again recently and decided to try my hand at a new recipe. Only recently, thanks to Joey, have I discovered this popular Filipino dish, which is also their national dish. 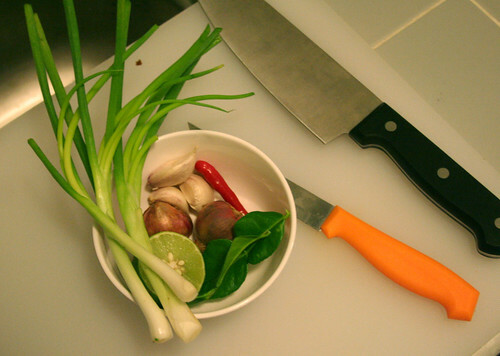 Adobo can be prepared in numerous ways and with a large selection of ingredients and flavors. One of my favorite aspects of adobo is the addition of a little vinegar to some of the recipes early on in the preparation. This adds a great tart flavor, different from that gained from adding lime juice to some Thai dishes. A lot of the recipes also calls for cracked or fresh peppercorns, another favorite of mine. The dish I made was a chicken and pork adobo. I strayed a little from the recipe, I marinated my meat a little first and used coconut milk instead of stock- I did not have any available when I started cooking. Marinated the meat in 1tablespoon oil, the turmeric and about a ¼ teaspoon cracked pepper for an hour. When the meat is ready, heat 1 tablespoon oil in a pan and sauté garlic until fragrant. Add the meat and brown until golden. Add the vinegar, but do not stir until the vinegar boils and release it’s acidic odor. Add a little more cracked pepper if you like and the fish sauce. Add some green peppercorns and the coconut milk (or stock) and stew for a couple of minutes, while stirring regularly. Dish up and serve. I topped the adobo with some fried plantains. It made a fine accompaniment to the stew. Note that you can completely leave out the whole marinating in turmeric part, I just felt like experimenting. We had a friend from work over for lunch last Sunday, and I decided to try these sandwiches I saw in a copy of Real Living I picked up recently. It’s real simple to prepare and a makes for a very satisfying and refreshing lunch. All you need is some pesto and olive oil, grilled vegetables, some fresh greens or herbs like basil and parsley and cheese. Grill your veggies. Slice the top off the bread and hollow it out, the breadcrumbs can be saved for other cooking (like in burgers). Spread pesto and olive oil along the insides of the bread and then layer veggies, cheese, and greens inside the bread. Put back the top of the bread, wrap in cling wrap and refrigerate overnight. Slice and enjoy. 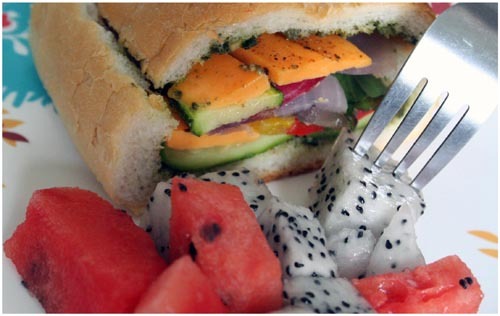 Alexander made a dragon fruit and watermelon salad to accompany the bread. Refreshing! I made the pesto using fresh basil, garlic, cashew nuts and olive oil. Of course I made too much, so the leftovers found themselves being used up in other dinners throughout the week. Monday I made mushroom burgers and sweet potato chips. I spread some pesto on the toasted buns. And there was a surprise in the burgers! 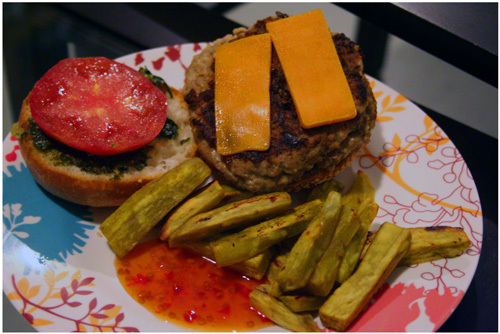 What you do is make two thin patties and put some sauteed mushrooms on one, cover with another and seal before cooking. I am convinced that you can absolutely have your imagination run wild here. Thursday night I made oven baked chicken and had pesto and pasta on the side. 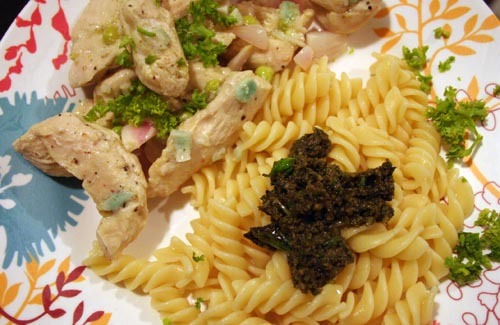 Marinade some sliced chicken breasts in a mixture of fresh lemon juice, chopped garlic, black pepper, and olive oil. Wrap this and some sliced shallots and fresh green peas in aluminum foil and cook in a preheated oven (250C) until juices run clear. Mmm succulent and flavorful chicken. And that was pretty much my week in the kitchen. Once in a while an exceptionally good bad movie shows on our only movie channel. When one of these come around we order pizza and sit on the bed eating it while tearing the movie apart. We’ve watched ‘She’s the Man’ and ‘Material Girls’ amongst others like this. There’s nothing like ordering generic pizza and watching generic nonsense on a Sunday night. Lately there have been absolutely now good bad movies. They’re all just really bad, so we have not been having any pizza. But we were craving pizza. I’ve been craving pizza, not fast food pizza, but fresh, homemade pizza, ever since I read this entry weeks ago on Food To Nourish the Spirit and Soothe the Soul. Staring at the dark green pepper corns in Alexander’s lunch at Greyhound Saturday afternoon, I started thinking about dinner, (yes, I am the kind of person who can eat a perfectly satisfying and scrumptious meal and already be thinking about the next one plus what will be eaten for snacks in between the two). In the fridge we had asparagus, a very agreeable piece of Morbier that Tim picked up while visiting (thanks Tim), one chicken breast, some kaffir lime leaves, leaves and lemon grass. In my mind’s eye these ingredients plus a couple of others began to come together in a two sublime pizzas. All I needed to pick up were some fresh pepper corns, mushrooms and Mozzarella cheese. And here are the results of my lunchtime fantasy. 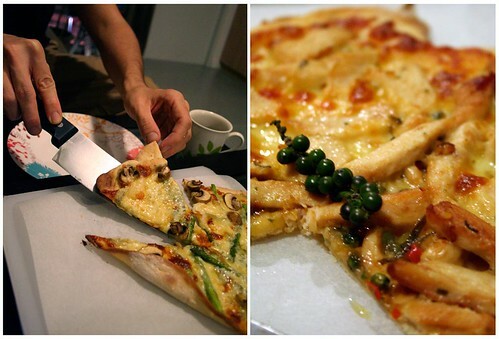 Two gorgeous thin-crusted pizzas (I don’t like thick crusts). One with Morbier, fresh asparagus, and mushrooms, the other with a stir-fried combination of a little lemon grass, one kaffir lime leave, one tiny red chil, one clove garlic, fresh peppercorn and chicken. 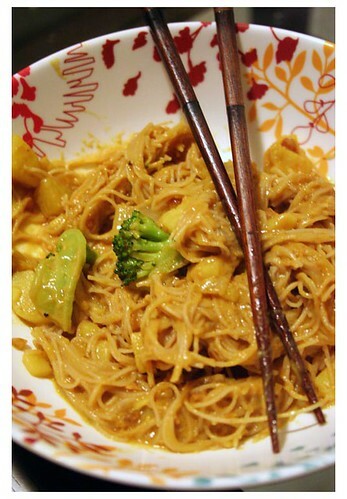 The latter subtly blended some of my favorite Thai flavors- it was perfect! I thought I messed up the dough because I could not quite follow the original instructions (I have no kitchen scale), but it came out perfectly. It’s really easy to make, so I will share my way, which is pretty much the same as the recipe I used, of making thin-crusted pizza dough. Mix the dry ingredients well in a mixing bowl. Add the cold water and mix on medium speed with an electric mixer for about two minutes (use the dough hooks on your mixer). Increase the speed and add the butter, mix for about 15 minutes. I have a hand-held mixture, so this process was quite excruciating. Pour this thick gooey mixture into an airtight container and leave for an hour. After an hour, preheat the oven to 250C. Fflour a working surface and your hands and start working the dough, add more flour and work it until it is not sticky anymore and quite elastic. Make two balls and roll them out thinly. Put the pizza on an oven pan that’s been lined with a cookie sheet. Brush with olive oil, add Mozzarella and rest of the topic and bake for under ten minutes until the crust has been lightly browned. 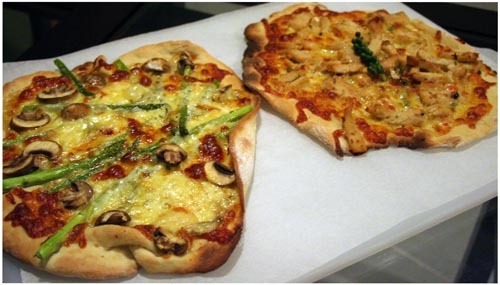 Remove from the oven and take pleasure in gobling up your home-made pizza. – After mixing the dough and leaving it in the container I thought it was going to rise, but it didn’t, so I thought it flopped, but this was not the case, I think. It just became rather bubbly and working in the flour created a very nice dough. – If you want a thicker crust you should not roll it out too thinly. Crunch. Yum-yum. Crunch. Yum. And Brownies! Here’s what we had for dinner. a) It’s a family secret. b) I actually have no idea. 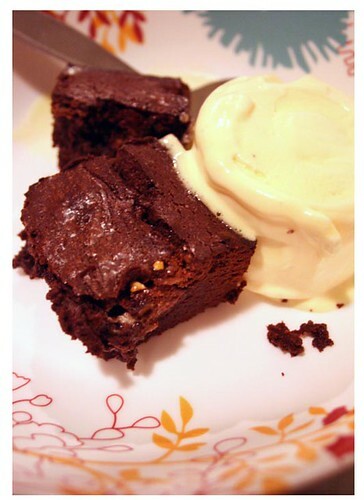 For dessert we had All-American Brownies (according to the recipe I used) and ice-cream. Usually I leave the task of making brownies to Alexander who is an ace brownie maker (he uses this same recipe that he got from his mom). Today, however, was the first time I made brownies, and because I cannot think of any good reason not to, I will share this recipe. Preheat the over to 180C and prepare an oven pan or bread pan, I used a silicone bread pan. Melt the butter and chocolate over medium heat. Let it cool for a couple of minutes and stir in the sugar and vanilla. Add the eggs one at a time and mix. Add the flour. When everything is mixed, add some chopped bits of the Toblerone. Pour into the pan. 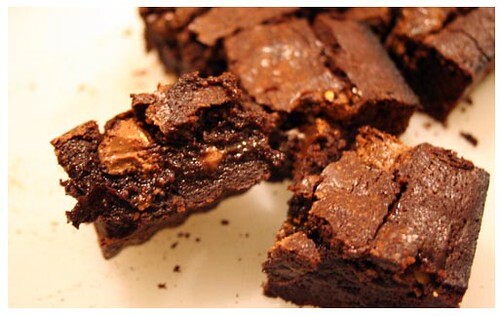 Stick some Toblerone onto the mixture and bake for about 20 minutes until a toothpick inserted comes out… clean! Cool, cut, gobble up. The original recipe, as you may have guessed did not call for any Toblerone. So now you may ask why oh why do you always have to go and throw Toblerone into just about any sweet thing you ever make? The reason is simple, one can never get enough Toblerone. Never. I have a friend who does not care much for it. But I think she has problems. As for me, I love it. I tried a variation on a fall stew recipe I read the other day for dinner last night. It’s supposed to be cooked in an oven bag, but seen as I do not have such an item, (as a matter of fact I’ve never heard of it before!) I just used our aluminum baking tins. Yes, I still do not have a proper baking pan or casserole dish, but in the meantime this is working well and we do recycle them. The original recipe, and many other great ones, can be found at here at Almost Turkish Recipes. Preheat the oven to 200C. Chop, dice, cube and round all the ingredients, anyway that you like. Combine them all in a large mixing bowl and mix well. Put this mixture into an oven pan (like I did) or a casserole dish. Mix the water and tomato paste and pour over. Cover with aluminum foil and make three holes in the top. Cook in the oven for one hour. 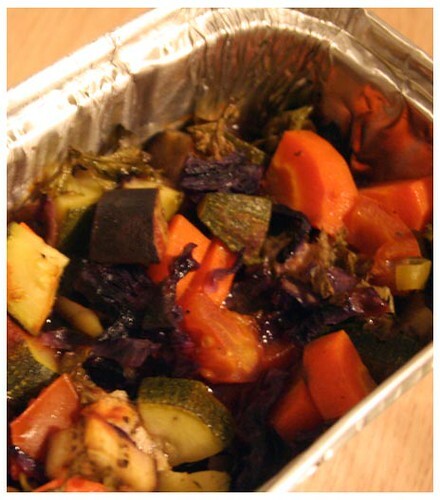 I served it with some toor dal and a roasted beetroot salad. Fresh and satisfying. – this was way to much for two people for one meal. The rest is going into the blender tonight to become soup. 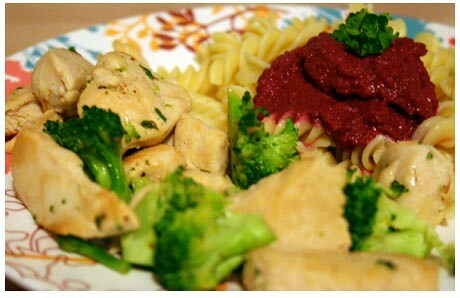 – you can use any other meat or none at all and you can add some more veggies or different kinds. – the ingredients added their own flavors to the dish, for some additional flavor you can add other dried or fresh herbs to your liking. 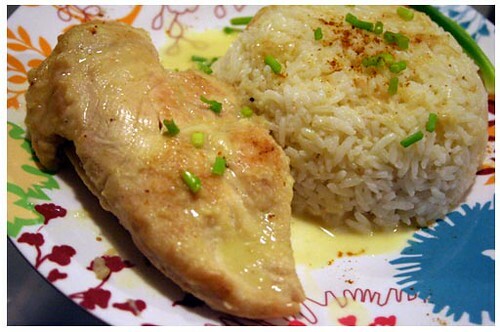 An old favorite of mine is stuffed or filled chicken breasts cooked in liquid of one kind or another. The options are almost limitless; I’ve used pesto, mushrooms, sun-dried tomatoes, spinach, feta and even peanut butter for stuffing and cooked in balsamic vinegar, red wine and stock. Seen as we are living in Thailand and get to savor new combinations of ingredients and tastes on a regular basis I decided to experiment with a new filling and cooking sauce inspired by some Thai flavors. 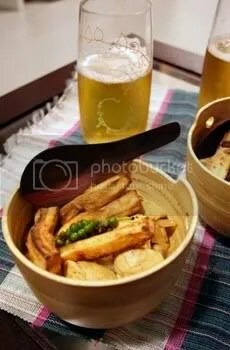 Heat a little oil in a saucepan over medium heat, when the oil is warm, add garlic and chili and fry quickly until fragrant. Add the rest of the ingredients (except the halved spring onion) and stir-fry it for about two minutes. Remove from heat and add the lime juice. Set aside. Dissolve the stock cube in the warm water, add the curry powder and coconut milk and set aside. Flatten your chicken breasts with one hand and make careful incisions in them with a sharp knife for the filling. Divide the stuffing between the two chicken breasts and insert half a sprig of spring onion in each. Close the breasts with one or two toothpicks. Season with a little salt. Spread the flour out onto a flat surface and roll the breasts around in it till covered, shake of any excess flour and set aside. In the same saucepan you used for preparing the filling, add a little oil. 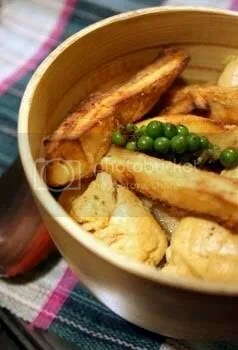 Put the chicken breast in the saucepan and cook until a light golden brown. To this, add the liquid mixture and lower your temperature to a gentle simmer. Cover the saucepan slightly and cook the chicken until it is cooked through. I left it on for about 20 minutes. The end result was superb. The flavors of the filling were pleasantly subtle, complimented by the curry flavored cooking sauce, the leftover sauce I poured over the steamed rice I served it with. The chicken breasts were also incredibly tender. Definitely one to try again. 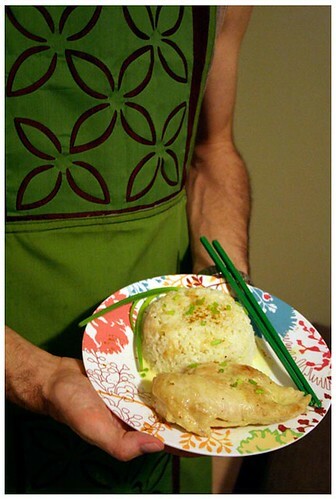 Suggestions for Chicken Breasts with Thai flavors filling. – depending on your personal tastes you can add more or less of any of the ingredients to change the flavor and of course you can add any other ingredients that may add to the end result.